Ndemic Creations is a leading, independent game studio dedicated to making intelligent, sophisticated and ultra-high quality strategy games. Based in Bristol, UK, Ndemic achieved extreme success with its first game, Plague Inc. – a global hit with over 120 million players which is one of the top five most successful paid mobile games ever! Plague Inc. has remained at the top of sales charts worldwide ever since it released in 2012. 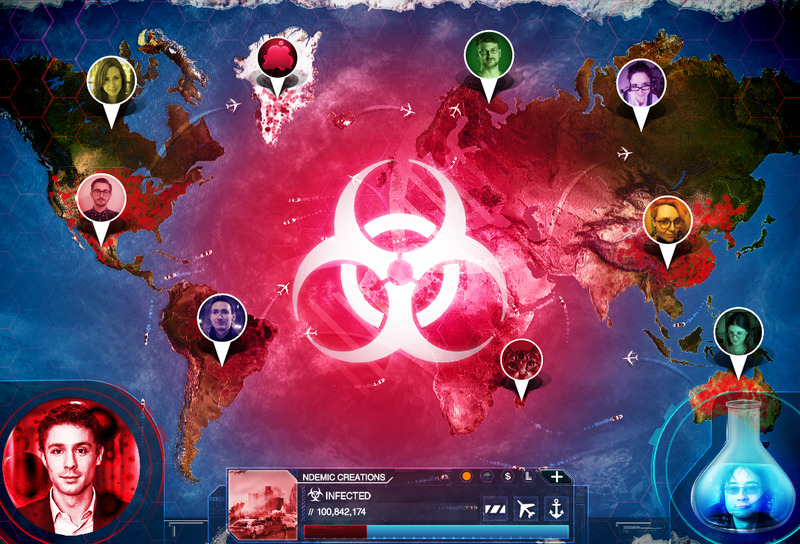 Founder James Vaughan originally set out to make Plague Inc. as a hobby in his spare time. Plague Inc. is a unique mix of high strategy and terrifyingly realistic simulation. Your pathogen has just infected 'Patient Zero'. Now you must bring about the end of human history by evolving a deadly, global Plague whilst adapting against everything humanity can do to defend itself. Brilliantly executed with innovative gameplay, Plague Inc. evolves the strategy genre and pushes gaming (and you) to new levels. It’s You vs. the world - only the strongest can survive! Since its initial development in 2012, Plague Inc. has expanded across multiple formats (as Plague Inc: Evolved) and is now available on iOS, Android, PC, Mac, Xbox One, PS4 and Linux. There is also a best selling physical board game which lets players compete against each other in the real world. You can keep up with Ndemic Creations on Facebook, Twitter, Instagram and Reddit. You can read our annual report cards here: 2017, 2016, 2015, 2014, 2013, 2012.